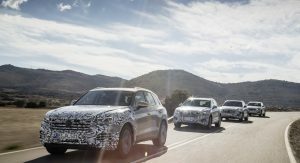 Volkswagen has provided yet another glimpse into the new generation Touareg, which will be unveiled next month in China, and go on sale in June. 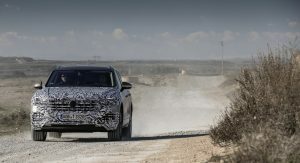 Taken around the Spanish town of Saragossa, the images reveal the SUV’s interior for the first time, and as promised, it gets digital instrumentation, 12-inches in size. 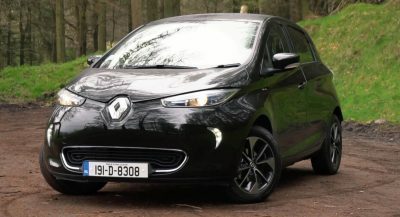 The unit, which will provide drivers with all the necessary information right in front of them, is joined by a 15-inch display for the infotainment system and air conditioning control. 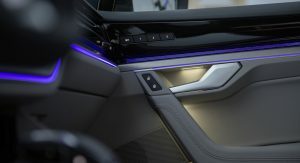 Both of them “are integrated into the instrument panel and appear as one surface“, as the automaker explains. These latest teasers also reveal a dashboard inspired by the Arteon, ambient lighting, electrically operated seats with memory function, and several driving modes likely accessible via one of the two rotary dials (or perhaps both). 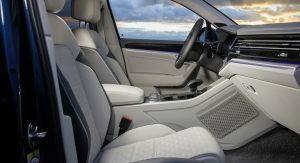 Volkswagen says that the new Touareg also features “real wood and aluminum-applications” to enhance its luxury feeling. 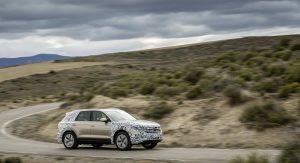 Engineers tested the pre-series vehicles for a grand total of more than three million kilometers (1,864,000 miles) so far, in cold and hot regions, and have compared the SUV’s ability to steer “around extremely narrow bends” to that of “a Golf“. 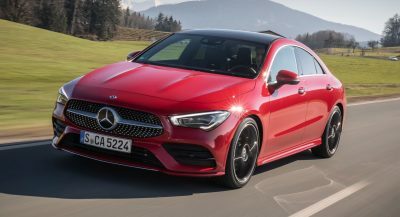 This achievement comes courtesy of “a new stabilizing system” as well as rear-axle steering, which allows the rear wheels to turn in the opposite direction to the front ones at speeds under 37km/h (23mph). This also reduces the turning radius from the current model’s 12.20m (40.03ft) to 11.13m (35.51ft). 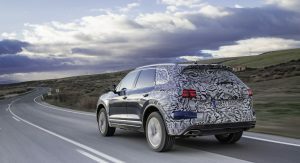 North American buyers won’t be getting the 2019 Volkswagen Touareg, and will have to settle for the more affordable Atlas. 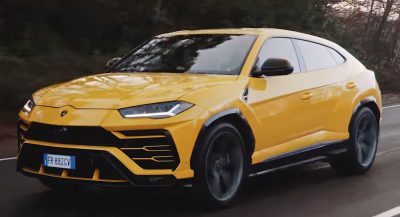 It also appears that the new SUV won’t go on sale in Japan either. I was thinking the same thing, but then again, I think the Atlas is more ‘car’ for the money and more suite to NA buyers: bigger sized and perfect for our needs. The Touareg is very European and does not get the love it deserves in America. Also, the Atlas is selling like HOT CAKES thus far, and hard to argue with value-wise. Atlas is boring as hell. Wont outsell Jeep, Ford or GM SUVs ever. Bigger except for the engines. 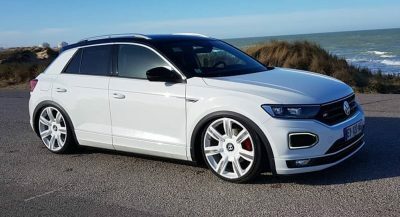 That’s what the Q7 is for. The Touareg was never a sales success here in the U.S. Not selling it here is actually a SMART move by VW. which means 80% was elsewhere. once again, there is no need for such brand overlap when VW is meant to compete here with the mainstream brands, not luxury names. well clearly they’ve decided there is no business case for it here…so whine and cry about it all you want, but you’re out of luck. lol the only version of the Tiguan sold in the US is the LWB because the regular wheelbase was too small, just like the previous generation which was consistently criticized for its lack of space. so your point is…what? If you have been keeping up with the news VW is already discounting the prices to move product…I can see why, the Honda CRV is running rings around it. so your answer is for them to sell an overpriced crossover that starts at 50K? you just said they’re discounting to move product; which provides justification for NOT selling the next gen Touareg here. you’re entirely proving my point. 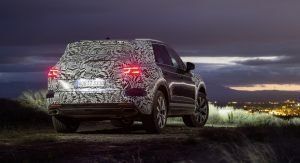 an example of them “continually” misjudging the US market is selling the Touareg here, just as it is an example of their record of law sales…hence the introduction of the Atlas to actually compete with the brands that VW is meant to compete with instead of going up against luxury marques which is Audi’s job. you probably want the Phaeton back too. keep talking in circles; there’s no way i can argue with stupid. 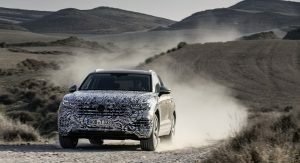 Touareg isn’t coming; you’re screaming into a void and no one is listening. You’re a guy who thinks that he knows better than the executives at VW. The Touareg didn’t sell well. 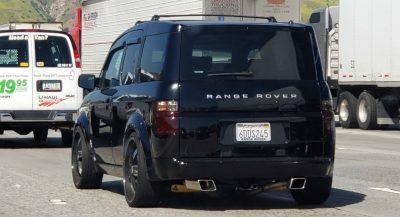 It had a premium price to it, and was still considered against non-luxury SUVs. 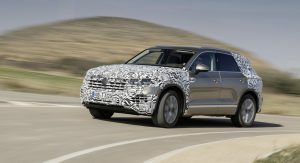 You can stop trying to argue that the Touareg is for the US now. 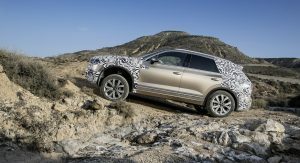 The Touareg isn’t coming to the US. Fact. So you can say all you want, but that’s the truth of the matter. Why can’t the Atlas just have been a lwb 3 row Toureag. Just like how the Mercedes GLS is to the GLE. AKA the new Audi Q7 AKA the new Bentley Bentayga. Honestly, I’m all for hiring people of various intellects but is VW management all functionally retarded? If they won’t send the US this but they’re happy to send crap like the US Spec Passat and the stupid Atlas, oh, and diesels designed to pollute of course, then they should leave the U.S. market. They mostly send what each market demands… cheap. Except the U.S. is not demanding the Atlas. And how many Passats sold in the U.S. last year? Now look at the competitor sales same class. None of those brands compete with VW. VW competes with mainstream brands like Toyota, Honda, Ford, etc. Nobody cross-shops between a VW and other European luxury brands in the US. Do you not know how the Phaeton went in the US? Nobody cross-shops between a Mercedes S-Class and VW Phaeton. That is why in the US, the S-Class has sold nearly 16,000 units for 2017 only. Nobody buys the VW Touareg. Nobody cross-shops that with any other luxury SUV. Yes, they sold a little over 100k units since 2003. That’s barely any sales on a yearly basis. Do you know how many units the BMW X5 sold? For the past 4 years, they’ve been selling around 50,000 units every year. Stop trying to argue. Nobody wants to buy the Touareg in the US because it’s a Volkswagen. Do you still not understand that consumers do not want luxury SUV prices for a Volkswagen? The VW Atlas has already sold around 30,000 units last year. They’re doing very well. It isn’t because VW is “misunderstanding” the market. The market rejected the Touareg. Every auto magazine listed “High starting price for a nonluxury brand” as a huge negative for the Touareg. The Acura MDX and Lexus RX, which come from luxury brands, were less expensive than the Touareg. They aren’t selling it here for a reason. First being that it was never a big seller here. It’s never been a big seller here because it’s always been overpriced here. Even the 2018 dinosaur has a higher starting price than the 3-row Q7. How does that make any sense? Audi has been steadily gaining marketshare for years. They don’t need to sell anything at a loss. A stripper entry level model can be a loss leader, not a $50k SUV. The Q7 isn’t underpriced, the Touareg is overpriced. Period. VW does it because they don’t believe Americans are sophisticated enough for the good stuff. Interior is just too plasticky for me. Dont like the feel when sitting in one. Completely agree. I have 3 people on my street that have one. Great cars. Quite popular in SLC, UT. I am not sure about the rest of the U.S, but they are everywhere here. Nothing special to see here folks as Volkswagen continues its relentless pursuit of boring design. Just bring it over to the U.S.